Our Price $23.33* each List Price: $23.33 each *Please note pricing is USA only. The Master Lock No. 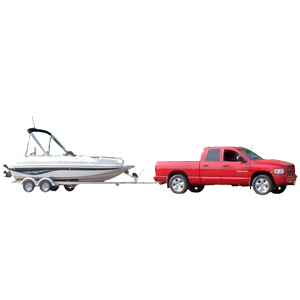 1480DAT features a 5/8in (16mm) Class III/IV stainless steel Barbell™ receiver lock. 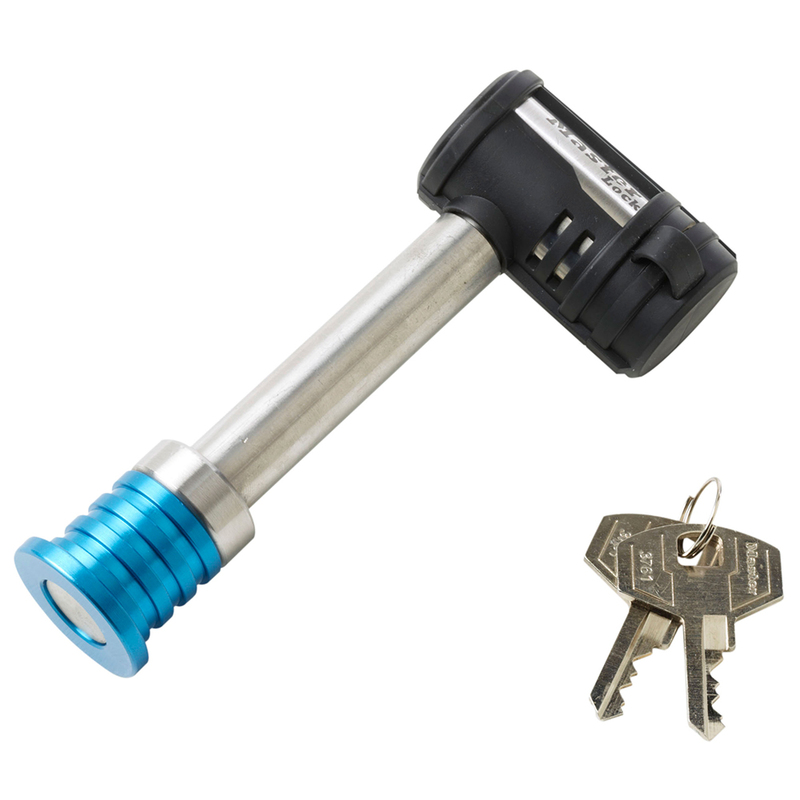 The receiver lock includes the Push to Lock™ locking mechanism, easily used by pushing the lock body firmly onto the pin and removing the key. The Weather Tough® seal and water tight cap provides additional protection from moisture and dirt. The Limited Lifetime Warranty provides peace of mind from a brand you can trust. 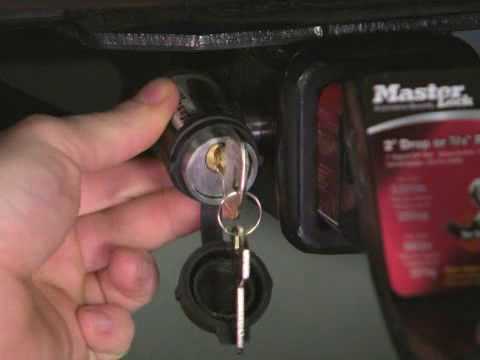 Push to Lock Receiver Lock: Learn More About How It Works!